It was during an early morning response to a house fire in Santa Rose de Temuco, Chile, where firefighters witnessed the unbelievable. 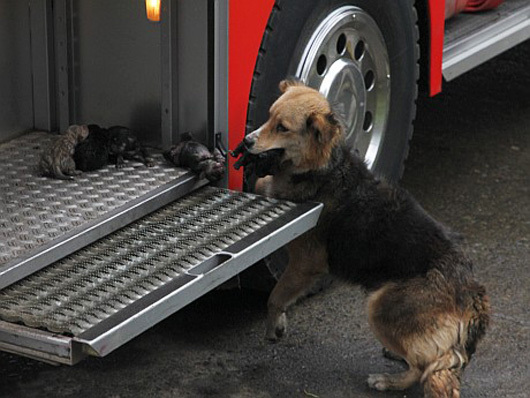 A mother dog risked her own life to save her puppies from the fire surrounding the burning house, which started because of a car bomb. 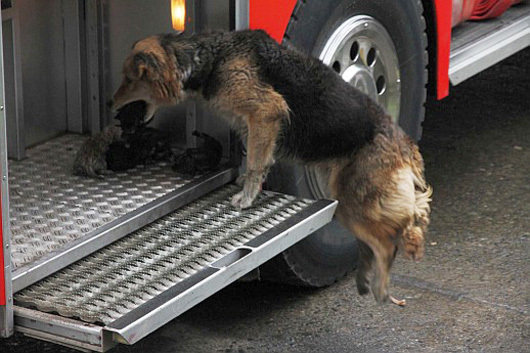 The mother dog, Amanda, a German Shepherd mix, raced back and forth between the house, carrying her 10 day old babies in her mouth and putting them in probably the safest of places - a fire truck! Amanda was reluctant to give up her babies to the Vet, but eventually did. 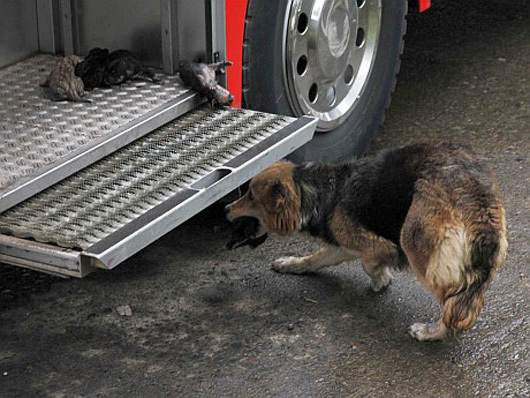 Sadly, one of the puppies died from serious burns to the abdomen, but after being treated the rest of the family is now alive and well - thanks to the bravery of Amanda! 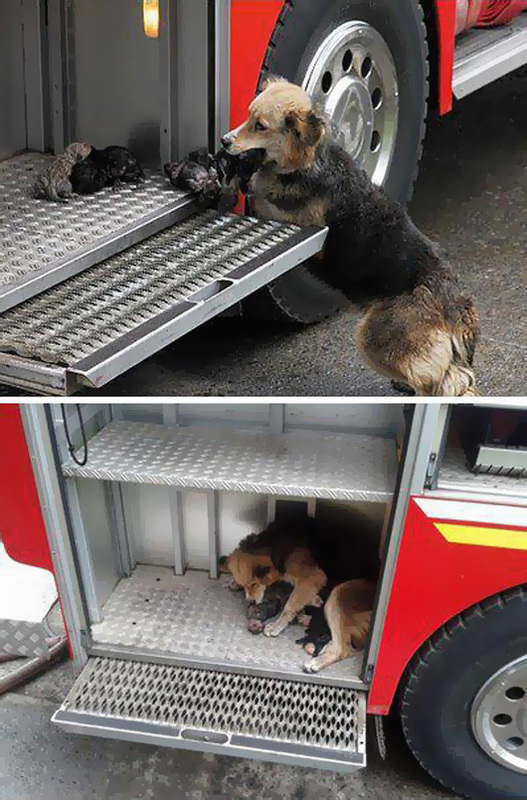 A mother's love knows no bounds! For the original story you can read more here.